The advantage of the CSS and DIV tag is to be able to create extensible blocks of various aspects; rounded edges or drop shadows for example. 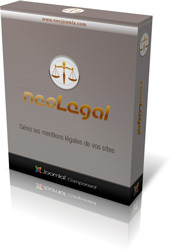 NeoLegal is a component allowing to set up on your site all legal information like: legals, the policy of confidentiality and conditions of use. Your texts are stored in a database what enables you to easily modify them in the administration. This component is free and compatible with JoomFish!. 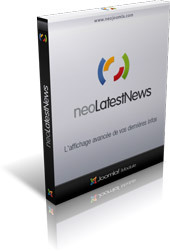 NeoLatestNews is a module for news presentation, as well as the native module of Joomla: mod_latestnews. What differentiates it from the latter is that you can manage how to display your news such as title, date, intro text thus its maximum length. It also makes it possible to choose the type of opening of the article, as well as the number of articles appearing in the module.